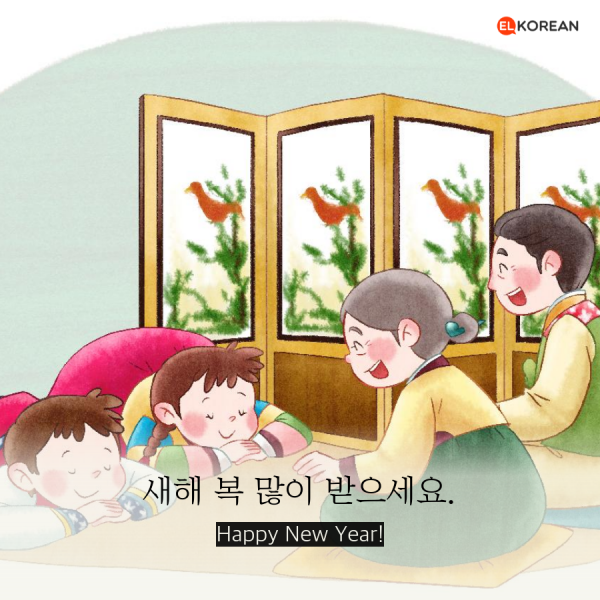 설날 [Seol-lal] 'Korean Lunar New year' > K-팝, 드라마 그리고 나의 스타 | EL Korean - Enjoy and Learn Korean online to speak in Korean. Date created18-02-13 12:46 View1,271. Comments0. The first day of the Korean lunar calendar. 설날 [Seol-lal] It is one of the most significant traditional Korean holidays. It consists of a period of celebrations, starting on New Year's Eve. During the New Year festivities it is common for adults to wear the colourful traditional costume, the 한복 [han-bok]. Additionally, eat sliced rice cake soup(떡국 [tteok-guk]) is a traditional Korean dish eaten during the celebration of the Korean New Year.